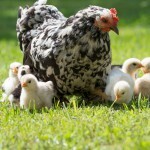 RSVP for the Chino Valley Chick Seminar 2019! Make plans to attend this fun and informative event on Saturday, March 9th at 10 am – 12 pm. Juliet Conant, Purina Mill’s Livestock Production Specialist, will discuss how to get your backyard flock off to a productive start. Coupons will be available to attendees for sale pricing on Purina Start and Grow. Sign up today using our online signup form below. You can also sign up at the Chino store or call us at 928-636-2321. Early registration ensures an automatic entry in our drawing to win an egg-cellent prize! Visit here for address and directions to our Chino Valley location. This entry was posted on Thursday, January 24th, 2019 at 2:57 pm	and is filed under Events, News & Updates. You can follow any responses to this entry through the RSS 2.0 feed. Both comments and pings are currently closed.